Finalist for the "Big Pitch Competition" Hosted by the City of Dallas Park and Recreation Department as a part of the Pursuit Dallas Teen Entrepreneurship Conference. Visit https://bookfairs.scholastic.com/bf/gatewaycharterpk-4 to see available books and set up an optional e-wallet for your student. Now Available! 2019-2020 Pre-Enrollment and Enrollment forms are now available online and on campus for new students. Spots are filling up quick. Questions? 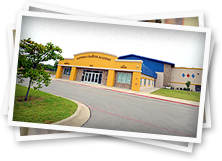 Call (214)375-1921 or Email: Admissions@gatewaycharter.org. Get the latest Gateway Charter schedules, scores, news, photos & videos. Check out a full line of Gators gear at the online spirit store. Enacted by the 76th Texas Legislature in 1999 and modified by the 81st Texas Legislature in 2009, the Student Success Initiative (SSI) grade advancement requirements apply to enrolled grades 5 and 8 students who take the State of Texas Assessment of Academic Readiness (STAAR™) reading and mathematics tests at grades 5 and 8.